Hey Prep Families! Your Preppies got to watch the Football Game this afternoon against Morgan State! We were able to get some pictures of them while they were there! They will be in the Prep School Gallery with all of the other Parents Weekend pictures! We hope you have a great evening! Prep TX Day 4 - Finished! Prep Huskies vs University of Colorado Colorado Springs in Soccer! Prep School July & August Birthdays! Ground Hog Days Are Complete! Science Lab Ribbon Cutting Ceremony and USAFA Superintendent General Johnson Visits The Preppies! PFT, Airfield Tour and Dodgeball Games - Oh My! Prep School Class Of 2016 Graduates! Prep TX Is Almost Over! Exemplar Retreat, Award Ceremony & Dinner! Life In The Military Lesson Cont. Preppies moved up to Phase 3! Pictures From Last Week Are Up! Update: High Resolution Images Not Downloading? A Video Treat and a Flyover! So, What did the Preps do today? In-Processing is finished for another year! 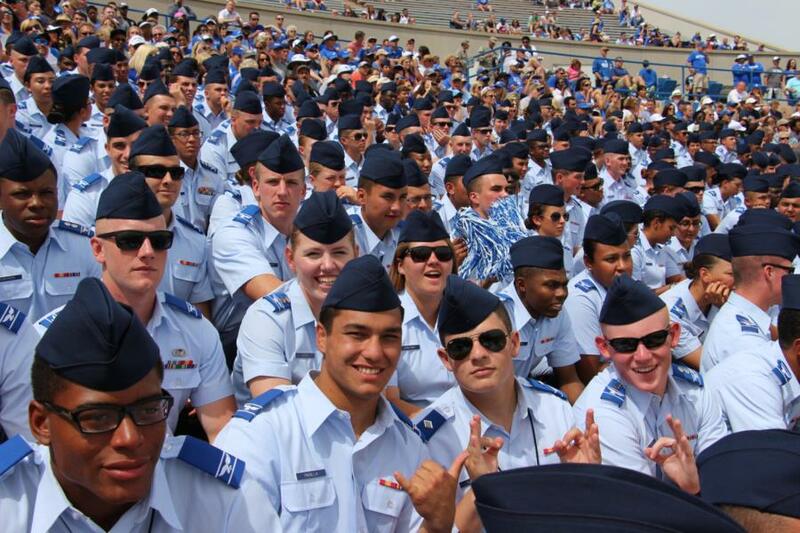 USAFA Webguy is a program of the USAFA Association of Graduates. The Association of Graduates (AOG) aspires to be the primary organization of United States Air Force Academy (USAFA) graduates and friends.